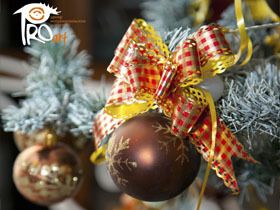 Corporate New Year 2012 with the company Asia Agro Alliance. 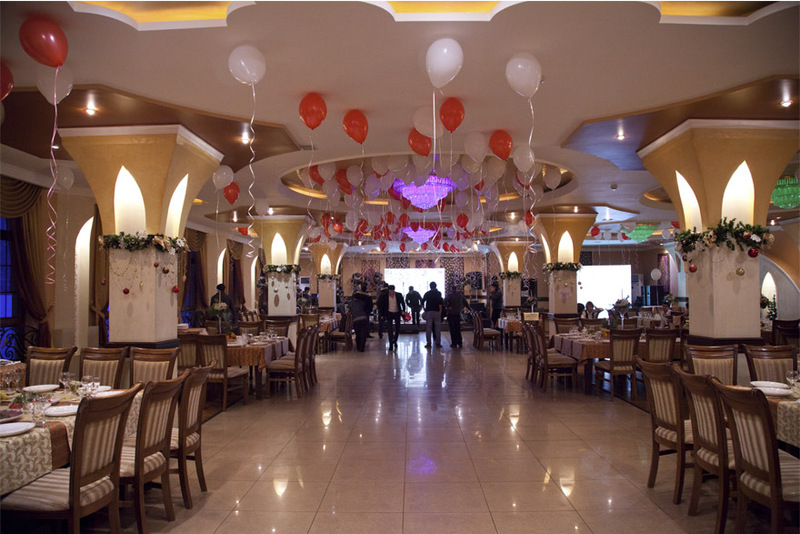 Dec. 28 at the restaurant "Salom" company "AAA" said corporate New Year. 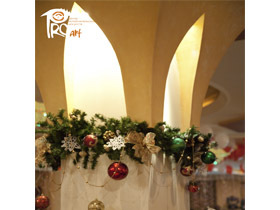 The restaurant was decorated with balloons, flowers and of course New Year's bright and beautiful Christmas tree. 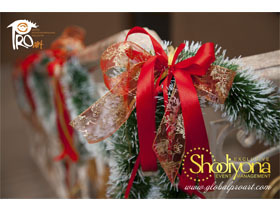 Everywhere were Christmas decorations and garlands. Just for the convenience of the staff in the restaurant was equipped with two large plasma screen. 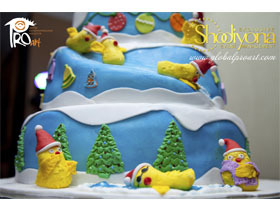 Employees at the entrance greeted lovely and charming Snow Maiden. 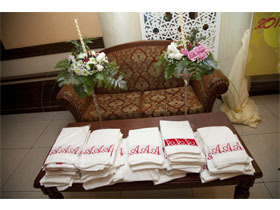 Immediately guests are handed a gift from the company - a white scarves with the logo of the company. The evening program was included comedy film, lasting 40 minutes, which was attended by employees themselves. The film was shot in the style of the "big difference". In the film, the staff played a comic role of foreign actors and characters of different famous films. The name of the film we gave "Big Chicken". Because the company directly involved in poultry production. Spectators were pleased with the film, their faces had a smile and was accompanied by loud laughter. Host of the evening were Santa Macho as Alexander Uspehova and Snow Maiden, in a manner that was Christina. The evening was accompanied by fun contests, games and sweepstakes. 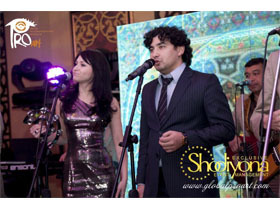 Musical atmosphere of the evening created a group of "Sado" and Akbar. The program of action combined classroom business format, and an active program of entertainment part. The event was attended by more than 100 employees. Employees of the company "AAA" demonstrated personal and professional approach to the design and implementation of the program activities, combining a variety of formats and types of activity. Employees at corporate events are collected in one of the restaurants, spend time for socializing, eating, having fun, getting closer to each other, get to know their colleagues in a new way. We wish the company "AAA" success in such interesting work.